When I was diagnosed with vitiligo over a year ago, I wanted to just bury my head in the sand. At the time I had a 13 month old baby boy who was still nursing and demanding unbelievable amounts of my energy and attention. I guess I thought that if I ignored what was happening, or somehow convinced myself that it was no big deal, that it would just magically disappear. But every time I looked down at my hands and saw the white spots growing larger by the day, my heart pounded with anxiety and panic. What if it doesn’t stop? What if it keeps going? What if I have the Michael Jackson disease? It wasn’t until the pigment started to disappear on both of my shins that I decided I had had enough. I needed to quit choosing ignorance, and face what was happening. I really didn’t know what to do, so I started by visiting good ‘ol Google, in search of info about vitiligo and what causes it. To my dismay, I quickly realized that no one seems to really be sure about what causes it, and worse yet, no one knows how to stop it. But then I came across articles like this one written by Dr. Hyman, and I started to realize that vitiligo should not be viewed as a skin disorder. It is an autoimmune disorder. At that point, a light bulb went off in my head and I changed my whole approach. I realized that skin creams and oils were not going to work. I needed to figure out what was happening on the inside of my body. So I decided it was time to go see my primary doc for blood work. After that I saw a dermatologist, which was a complete waste of time, but confirmed my fears – I did have vitiligo. She told me there is no cure for vitiligo, and that sometimes it just goes away on its own. I guess that was her way of trying to be encouraging. But all it did was anger me. Turns out the anger was the thing I needed to propel me straight into a research frenzy that has continued for the last six months. I started heavily researching vitiligo in any way that I could. I read any and everything about vitiligo that I could get my hands on. I went to the library, bought books, and consulted with holistic doctors. I asked questions and compared information. I kept (and still keep) a notebook full of notes, ideas, and theories. 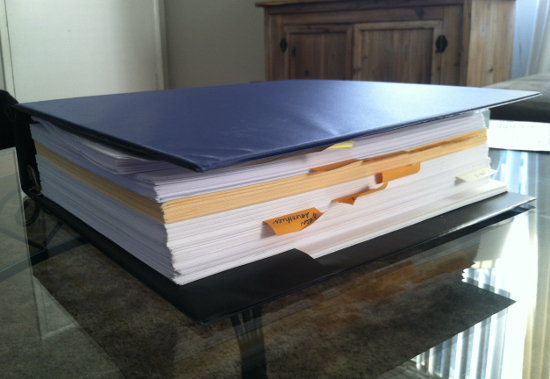 I also keep a huge three ring binder filled with print-outs of interesting things I came across on the internet. In all of the information I gathered, I soon started to see a pattern. I noticed some of the same information being repeated again and again. My panic and overwhelm started to vanish. I no longer felt like I was being held hostage to this frustrating condition. I stopped feeling hopeless. I started to believe there was something I could do about it. You know the saying, “knowledge is power”? For me, the ability to understand goes a long way. The more I can grasp and understand about a seemingly baffling problem, the less scary and intimidating it seems. At the time of this writing, my vitiligo has appeared to stop spreading, which means I am on the right track with what I have been doing. I now feel like I am in control, and that I am strong enough to try to overcome my vitiligo. 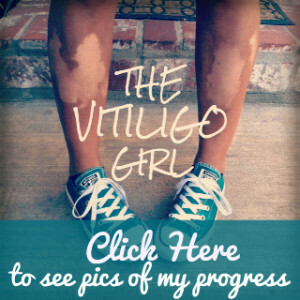 Those of us with vitiligo were born with a genetic predisposition to develop the disorder. However, vitiligo is tricky in that the cause or “trigger” for vitiligo is different from person to person. 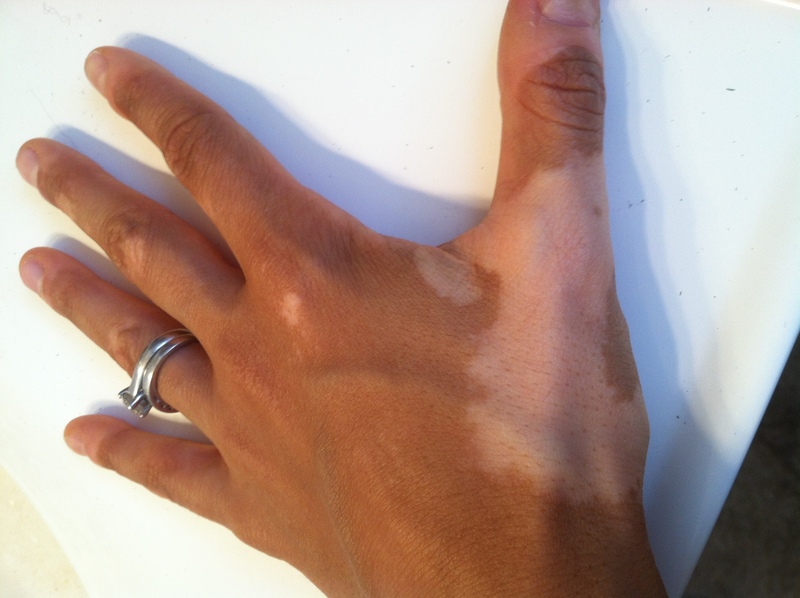 In order to stop or reverse your vitiligo, you’ve gotta figure out what YOUR trigger is. This is the very reason why what works for one person may NOT work for you. You’ve really got to pay attention to yourself and your body. Do I suffer from anxiety attacks and/or depression? Do I have food allergies/intolerances? Do I suffer from acne breakouts? All of these things may seem unrelated to vitiligo, but they are ALL very much related. 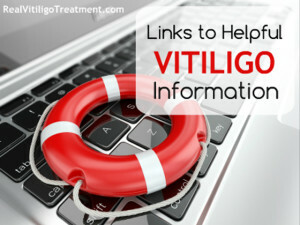 These symptoms are enormous clues about what might be the underlying cause of your vitiligo. I’ve realized that if I want to overcome vitiligo, I cannot spend time feeling sorry for myself. I’d much rather go down kicking and screaming, than sulk on the side lines. The thing is, the more you learn about vitiligo and why it happens, the more you’ll know HOW to help yourself….and you’ll be better able to spot a fraudulent treatment or bad advice. I’ve noticed around the internet that a lot of people are afraid to purchase eBooks, or try out certain treatments because they are afraid of getting ripped off. Let me tell you….I have purchased ALL of the eBooks and Amazon books you have probably come across in your online searches about vitiligo. I’m not exaggerating when I say EVERY. SINGLE. ONE. Yes, I have spent a small fortune on these books. But I always viewed it as a learning process. I don’t think I ever really expected to find THE magic cure for vitiligo in any one of these books. In my mind, I was gathering information. And I continue to gather information, connect the dots, and learn. And although some of these books have been less helpful than others, they have all helped me in my learning process. And never underestimate the power of learning. Arm yourself with knowledge and understanding and you will see a shift in your outlook and a strengthening of your determination to overcome your vitiligo.